Joachim, Joseph, 1831-1907. Andantino, violin (Album leaf). 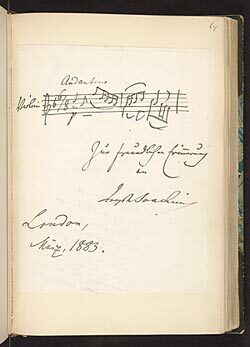 Andantino for violin (album leaf): autograph manuscript, 1883 Mar.